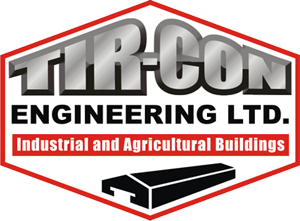 Tir-Con, as market leader, specialise solely in steel framed poultry houses. The steel framed house holds many advantages over it’s timber frame equivalent. Working in conjunction with the UK multiples, Tir-con along with the poultry processors, have developed a new bird-friendly house known as the Select House. This incorporates natural daylight which can be controlled automatically. Recent developments include PVC roofing which increases the life span of the house, Our PVC material used on the inside of the roof comes with a 20 year guarantee so customers can be confident that they are a very high quality unit. . Our innovative design uses less joints which minimises air leakage and heat loss. Tir-Con Engineering ltd provide solutions in state of the art Broiler, Free Range and Egg Laying units with an emphasis on High levels of air tightness and Bio-Security among the many priorities of the build.